Yet another completely unique experience. 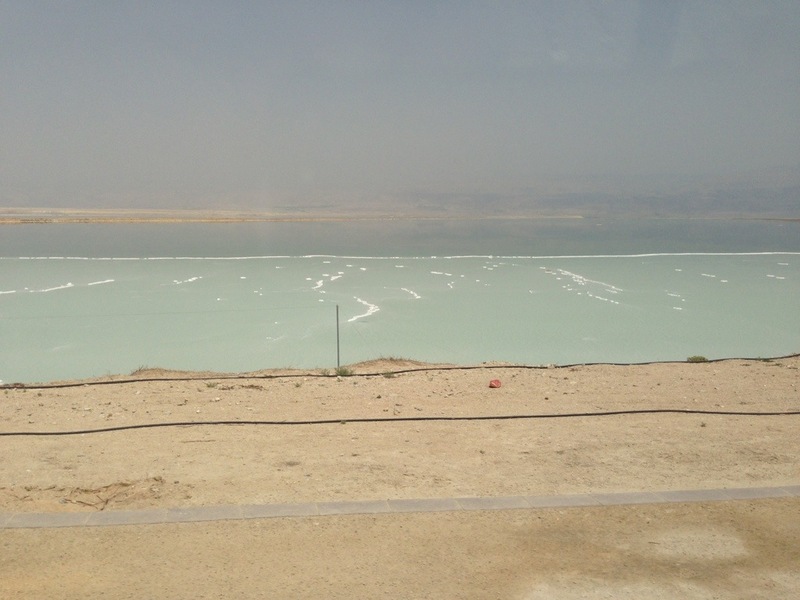 We had lunch on the Dead Sea and went in to see what it was like. Others in our group went all the way in (wearing bathing suits). Me? No thanks. Personally, I only rolled up my pant legs and waded in like Tom Sawyer. That was enough. The water is more salty than I could have ever imagined. I simply put my finger in the water and then touched my finger to my tongue. Wow! Disgusting! This water is NOT for drinking. The buoyancy is unreal. When you simply shift your weight to one foot and let your other foot go, it comes popping up to the surface. People are just laying in the sea with their heads, hands, and feet sticking out of the water. It is actually kind of hilarious, but I’m happy on the shore. The water is also interesting to look at. There are salt deposits all over the place, especially on the shore. It looks like a picture out of the Antarctic. There appears to be ice all over the place, but the water is warm and there is certainly no ice. It is all salt. In the water itself there are millions of little salt pebbles. It’s not the most enjoyable to walk across.